Deciphering Palau’s designation “Powertrack 10” is straightforward. The number 10 indicates the generous 10mm thickness. 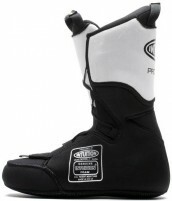 The “Power” comes from the mid-density EVA foam that is designed to boost your boot’s skiing performance. “Track” is short for “skintrack”, meaning the liners are pre-approved for uphill travel. The liners are so comfy you’ll want to ski 8 days per week, keeping your priorities on “track”. Go figure. Six lacing points add another level of fit customization and shin-security to the Powertrack 10s. The liners make good replacements for stock liners in boots like the Maestrale, MTN Lab, and Spectre. They can also help with fit issues and improve performance of boots like the Travers Carbon and TLT7. The Palau Powertrack 10 is a high-performance replacement liner to revamp your well-loved boots and take ‘em back to the good ol' days. Made with 100% closed-cell EVA thermos-moldable foam. 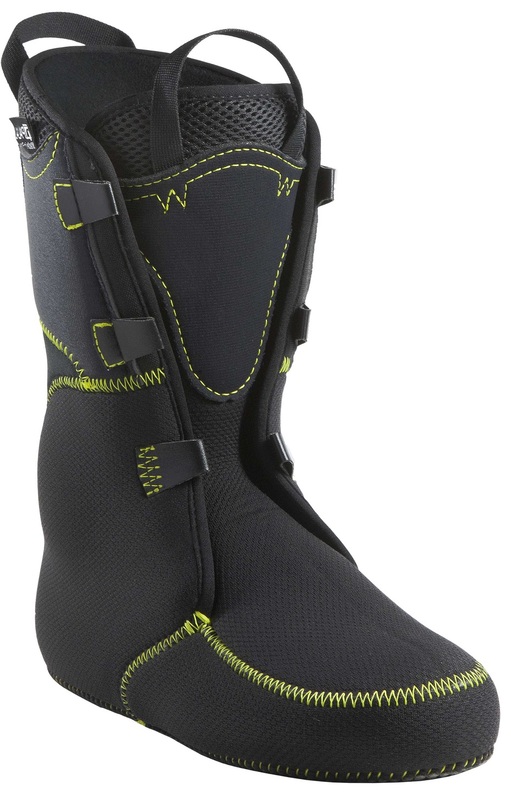 10mm mid-density support is enough beef for most touring boots. Tongued design has support pads in front and flex-zones in the ankles. Shoelace eyelets let you lace-up your performance. Thinking about a Palau liner. Do we buy these according to the length of our foot or the mondo size of our boot? And - is there a difference between a 27 and a 27.5 Palau liner? Thank you. Hey Bill! Well, hopefully the mondo point and your foot size are close enough to each other that you should be able to size based on either metric and get the same result. If they are different sizes though, then I'd size based on the mondo size, not your foot. The 27 will be ever so slightly thicker than the 27.5, but really we've found that after molding and packing them out, there's no significant difference after a few days of skiing between the half and full size. How do they breath? I need liner which allows moisture to pass through (as much as possible). I have Intuition and they don't breath at all. Hey Vitaly! Just inherently based on the foam characteristics most Palau liners will typically breath better than the Intuition liners. Also part of the reason why they have different walking/skiing characteristics usually so there's that to take into consideration as well. Seeing as the Powertrack 10 is a 10mm foam liner you're probably looking at a moderately breathable touring liner. These are a great replacement for the packed out liners in my LaSportiva Sparkles. They're just a little higher volume than the originals, and feel much more secure around my skinny heels. Toasty warm, too! I put bungee laces on them and like that a lot better than the wrap-around+velcro system on the stock liners. Great replacement for the packed out liners in my LaSportiva Sparkles. Probably just a little higher volume than the originals, and toasty warm. I have super skinny heels and they feel much more secure than they ever have, and the little spot on my instep that was rubbing is magically gone as well. Love 'em! How does the volume of this compare to the intuition pro tour liner? I've having some slop issues in my scarpa f1s around the ankle/forefoot. Hi Nick, this liner takes up slightly more volume than the Inuition Pro Tour. If you are looking to fill in some space in the F1, this is likely a good option. What is the weight of these liners? I'm comparing to Intuition Pro tours but like the idea of going with something that is lower volume for my MTN Labs and better flex zones. Hi Dillon, I just tossed these liners on the scale. In a 27.5, this liner weighs 220g per foot. It definitely has a better flex zone than the stock MTN Lab liner and is quite a high quality build, though I'm not sure it will be much lower in volume.